Beware - grabbing the first likely fan from the hardware store may be entirely the wrong solution for your problem. You'll get a better result if you do some homework first. We help you work out what size, type and features will suit your needs. 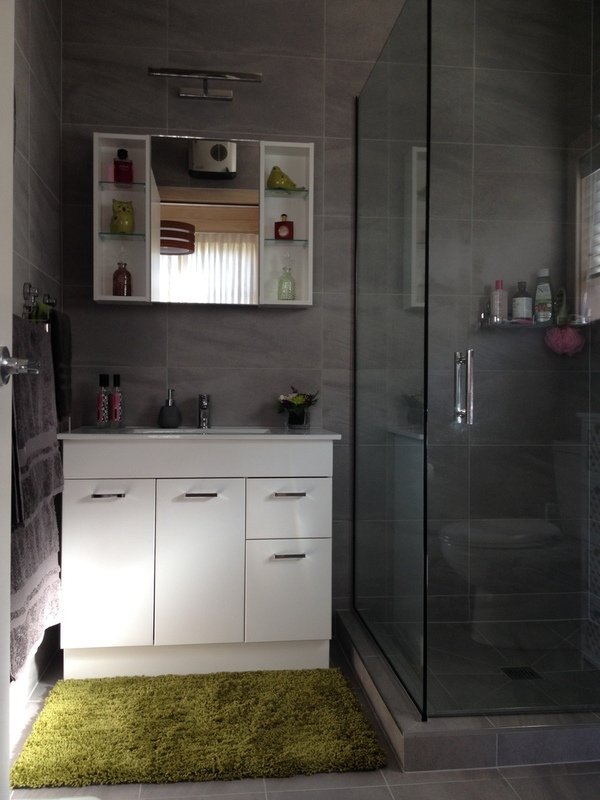 Keeping mould and mildew out of your bathroom can be a never-ending battle. Every time you run hot water, you create steam. That steam penetrates every crevice, and soon cools down and turns to water. Essentially, everything in your bathroom gets wet at some point. When this happens in a protected area that doesn’t dry efficiently, you have created a prime breeding ground for a multitude of mould spores. While there are many products on the market that will kill the spores and clean the stains that they leave behind, the best treatment is prevention. By installing a bathroom exhaust fan, you can keep them from ever finding a place to get a foothold. Most bathrooms have some sort of ventilation system. Many people overlook the importance of proper ventilation in the bathroom. Your exhaust fan removes excess moisture and nasty odours, keeping mould and mildew from becoming a problem and keeping your air healthy. Clean your exhaust fan twice a year. Most exhaust fans have covers that simply pull off or are held on by just a screw or two. Remove the cover and clean the vent slots. Also, check the fan for dust build-up. Either brush or vacuum off any accumulation that may have attached itself to the fan. You’ll be surprised how much dust will be in your fan. Just a light covering of dust on the fan can reduce the fan’s performance by 20-40%. Keep the door or windows open a bit. If the bathroom is sealed off tight while the fan is on, then the fan has no place to draw air from, thus it can’t put the moist air outside. No air flow into the bathroom will take away 90% of the fan’s power to exchange in the bathroom. After a shower, let the fan run another 10 minutes or longer. Remember that the primary function of a ventilation fan is to get rid of moisture, so it's crucial that the unit be vented all the way to the outside of the house. 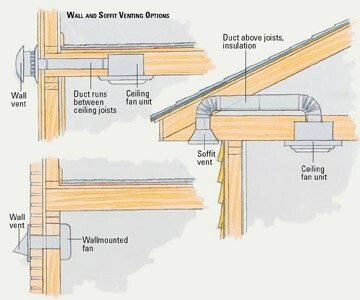 Venting a fan into the attic simply takes the moisture from the room and puts it up into the attic, where it can do just as much long-term damage to your house - it's also a violation of the building codes.